The Xperia Z2 is the culmination of a series of refinements to Sony's formula, it doesn’t stray significantly from the Z1 that came before it, but every upgrade since the original Xperia Z has been of note. We’re looking at a top of the line phone with all the latest and greatest specifications, making it a very compelling battle between this and the flagship offerings from Samsung and HTC. Enter the Xperia Z1. New Snapdragon 800 SoC. New 20.7-megapixel Exmor RS camera. New aluminium body. In many respects, this is what Sony was aiming for with the original Xperia Z: a solid set of features to lure any smartphone buyer including waterproofing. It may be out a little later than your Galaxy S4 or HTC One, but there’s no doubting that the Z1 is a high-end handset to take Sony into 2014. With no less than 30 devices in their Xperia smartphone range, Sony certainly doesn’t shy away from releasing multitudes of Android devices. 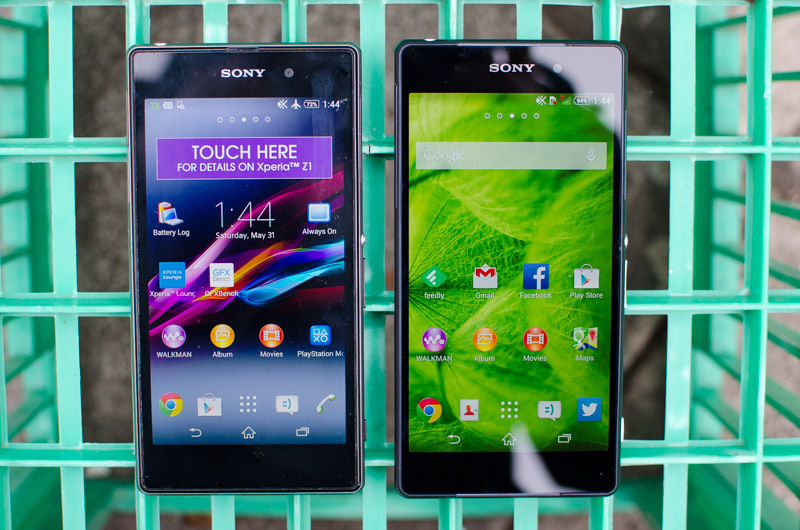 However, nothing Sony has released thus far can be likened to the Xperia Z Ultra. For the first time, the Japanese company has released a phablet. Sporting a gargantuan 6.4-inch display and powerful Snapdragon 800 processor in a body that’s easily the largest, but also the slimmest that I’ve ever seen in a similar smartphone. Sony Xperia Z arriving on T-Mobile in the "coming weeks"
Sony Xperia TL: Reviewing the "Bond Phone"
Each iteration of Sony's flagship device has improved and been better than the previous version, but no single attempt has been just right. The Xperia TL, available now on AT&T, is as close as the company has come to finding the smartphone sweet spot, but is that good enough to rival other Android manufacturers? James Bond seems to think so. The Xperia TL gets quite a bit of product placement in the latest flick, Skyfall, popping up as Britain's greatest fictional spy goes on missions to save the world and get the girl. If it's good enough for the world's most debonair spy, surely it's good enough for the average gentleman or lady.